All rejoicements upon this Glorious Month of May! Spring is upon us and it’s gained a few pounds! DO THE THING, else we’ll have ta batty-fang yer sauce-box! Gypsies and Faeries and Pirates, OH MY! Midnight Champagne and Alligator Jerky! BREAKING NEWS: We’re putting the SPOOKY in Fall Esco’s Second Weekend SAUCE! 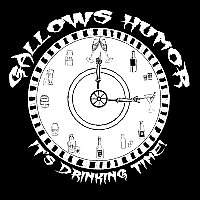 GALLOWS HUMOR is the reason for the season!